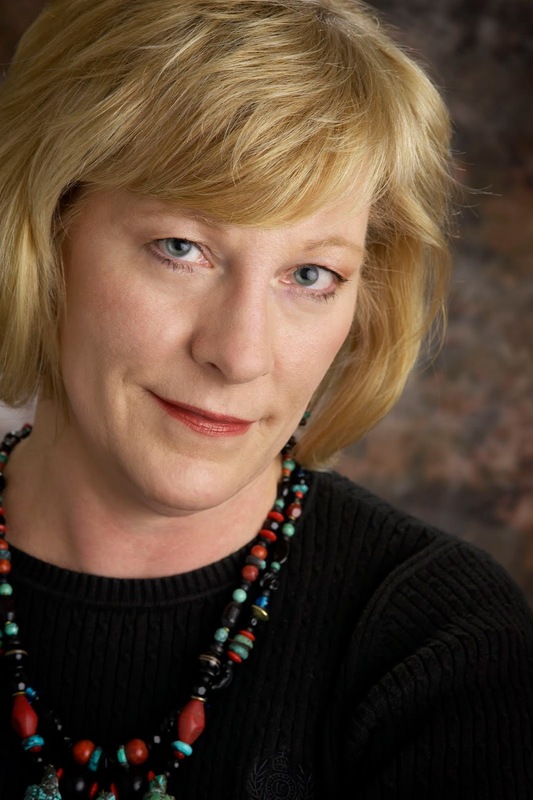 Elizabeth Maddrey and Free Books! Restoring the gardens of an old mansion brings old flames back together. 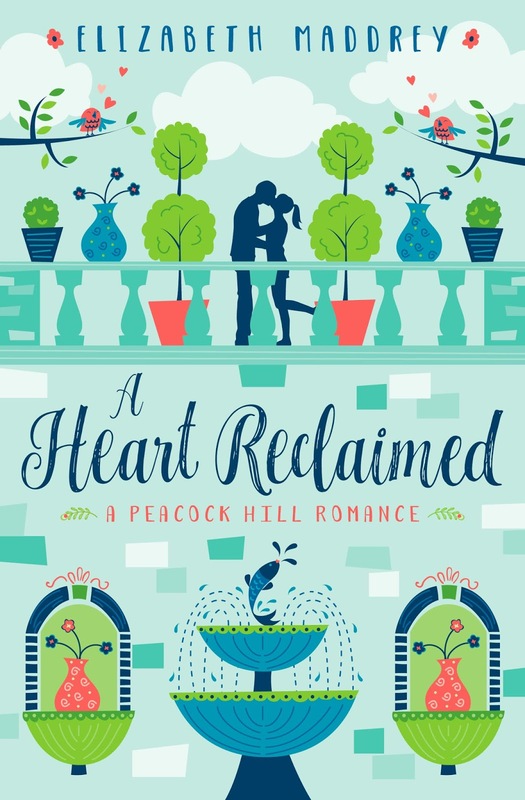 And now let's visit with novelist Elizabeth Maddrey, author of the contemporary Christian romance, A Heart Reclaimed (JoNaTiMa Books, April 2018). 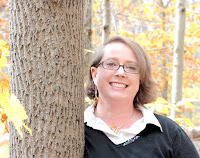 Elizabeth Maddrey is a semi-reformed computer geek and homeschooling mother of two who lives in the suburbs of Washington D.C. When she isn’t writing, Elizabeth is a voracious consumer of books. 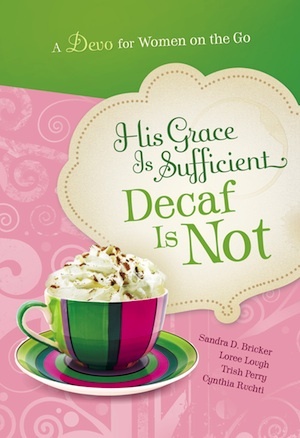 She loves to write about Christians who struggle through their lives, dealing with sin and receiving God’s grace on their way to their own romantic happily ever after. I enjoy police procedural TV shows (and books) and can get entirely too caught up watching shows like Blue Bloods when they get a new season on Netflix. TV viewing certainly is different now, isn't it? Do we wait until the end of a season and then binge, or do we get a little fix each week? Please tell us a bit more about the plot of A Heart Reclaimed. What is it about Anna that will make your readers care about her? Anna sees working on the gardens at Peacock Hill as her last chance at capturing her dream. She’s determined to prove herself. At the same time, she isn’t completely sure she has what it takes. I think she has that mix of confidence and wounded self-esteem that lurks inside a lot of us, so we can’t help but root for her to conquer. Share with us one line or paragraph that gives us a good feel for the tone of your novel. He was in charge. Of course he was in charge. Duncan McIntyre was always in charge—even when he wasn’t supposed to be. How many projects had they been on together, and the team had all looked to him, even when her ideas were better? Or at least as good. She sighed and kicked the corner of the mattress in the room Deidre had shown her to once she and Duncan had come to an understanding of sorts. It was clean and private. That was about all it had going. The bathroom was down the hall, shared with Deidre...and she shouldn’t be complaining. She hadn’t been summarily dismissed, and that was enough. Or it had the potential to be enough. A project like this was a huge opportunity to get her portfolio going. And she had to do something to get away from the archives. Her soul died a little every day she went in to work. Harvest of Love by Valerie Comer. I love all of Valerie’s books, but this one really touched me. Her hero has a learning difficulty that essentially left him unable to read as an adult. There are so many adults who still struggle with literacy and I thought she handled his challenge with grace and hope. I met Valerie at a writer's conference eons ago. She's a lovely woman, with a great sense of humor. 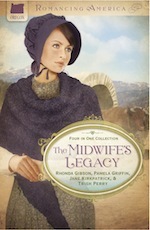 Right now, I’m putting the final touches on book 3 in the Peacock Hill Romance series. A Heart Realigned will release next month. 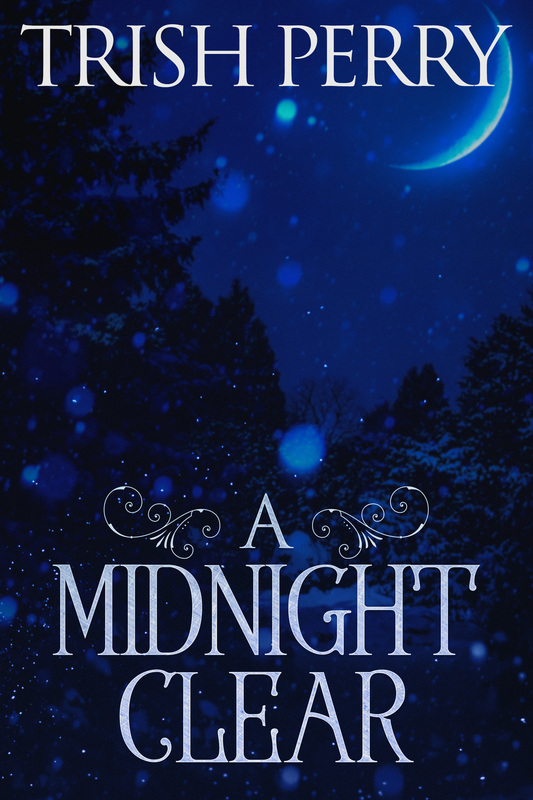 I’ve also got a Christmas book that’s part of a collection that’s in the final stages of editing and I’m hoping to finish up a second Christmas book soon. It’s busy right now! Busy is good! Where else can readers find you online? My website has basic information and links to all my books (www.ElizabethMaddrey.com), I love interacting with readers on my (Facebook page) and if people want to see little snippets of my life, they can follow me on (Instagram ). Do you have something you’ve always wanted to do but lacked the courage to try? What is it? Thank you, Elizabeth, for visiting and telling us about yourself and your book. 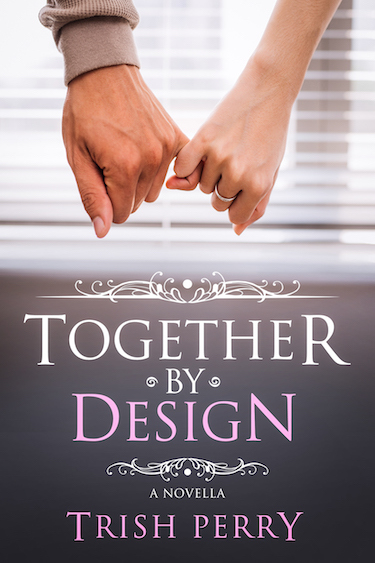 Readers, Elizabeth has offered to give away an e-copy of her novel. To enter, leave a comment and your email below in answer to Elizabeth's question, above. "Please enter me" won't get you entered. Remember that U.S. subscribers are entered an additional time in each drawing. The drawing is done by email, so leave your email address, like so: trish[at]trishperry[dot]com. Zoe McCarthy and Free Books! Ten years ago Camden crushed her heart; guess who just moved in across the street. 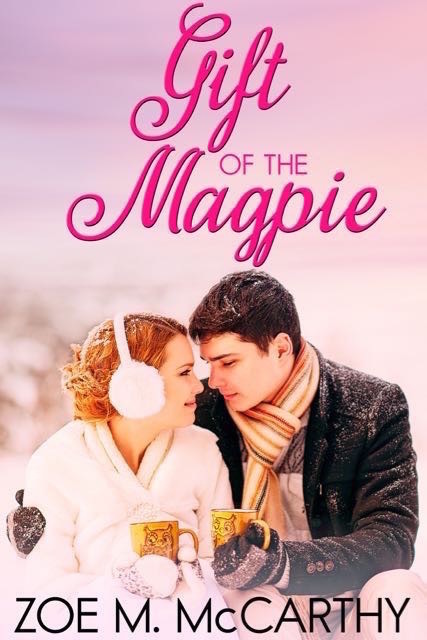 And now let's visit with novelist Zoe McCarthy, author of the contemporary Christian romance, Gift of the Magpie (Lighthouse Publishing of the Carolinas, August 2017). 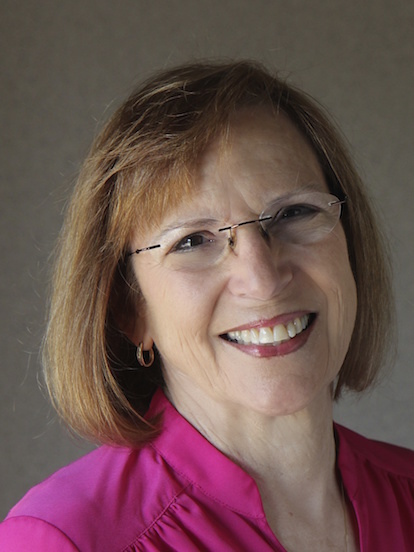 A full-time writer and speaker, Zoe M. McCarthy is the author of three Christian contemporary romances involving tenderness and humor. Believing that opposites distract, she creates heroes and heroines who learn to embrace their differences. Zoe has a fourth romance and a non-fiction book on writing coming out in 2018. Besides penning books, she gives workshops on writing, teaches the community Bible study, and crochets and knits for a prayer shawl ministry. Zoe has two sons and six grandchildren. She and her husband live in Southwest Virginia, where they enjoy exploring the Blue Ridge Mountains and canoeing the New River. As a Coast Guard brat, I lived three years in Haiti during the rise of Papa Doc and was later evacuated from the Guantanamo Bay Cuba Naval Base during the Cuban Missile Crisis. Wow, that sounds pretty exciting! I was a little girl in elementary school at that time, and I remember being frightened all the way up here in the States. I can't imagine being in the thick of it. Please tell us a bit more about the plot of Gift of the Magpie. Amanda Larrowe’s lack of trust sabotages her relationships. The English teacher and award winning author of middle grade adventure books for boys has shut off communication with friends and family to meet her January 2 book deadline. Now, in the deepest snow accumulation Richmond, Virginia has experienced in years, Camden Lancaster moves in across the street. After ten years, her heart still smarts from the humiliating aftermath of their perfect high school Valentine’s Day date. He may have transformed into a handsome, amiable man, but his likeability doesn’t instill trust in Amanda’s heart. When Cam doesn’t recognize her on their first two encounters, she thinks it’s safe to be his fair-weather neighbor. Boy is she wrong. What is it about Amanda that will make your readers care about her? 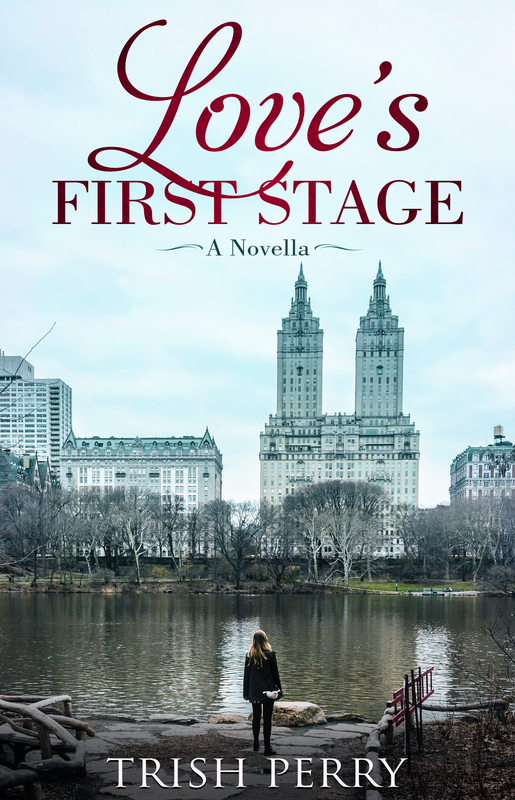 When Cam moves in across the street, Amanda, although a successful teacher and an award-winning author of books for boys, fears Cam will have a second chance to murder her self-worth as he’d nearly done ten years ago. A looming deadline and an embarrassing Cam-encounter were serious business. Sure, in fifty years, she might view Cam moving in across the street as hilarious, but she needed help now. And God knew this. Thankfully. Perhaps God would keep her on task and, in His mercy, send Cam back west where his family had relocated. The Road to Testament by Eva Marie Everson. I recommend it for the same reason I like to write this type of book. I enjoyed the humor and tenderness, and the banter and problems of two opposites. 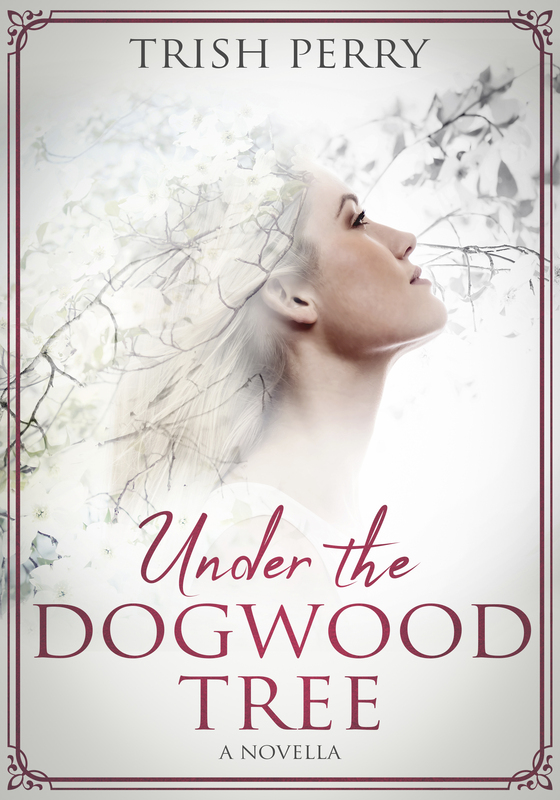 The story had a mystery, a southern setting, and an engaging romance. 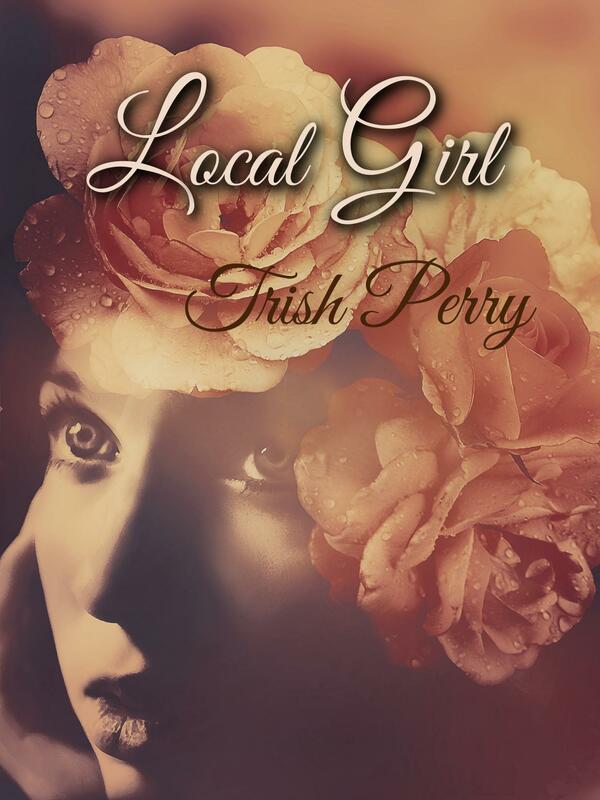 I’m working on the second book in my Twisty Creek series that will be part of a multi-author 2019 Valentine’s Day collection. What is your method of finding the books that you enjoy reading? Thank you, Zoe, for visiting and telling us about yourself and your book. Readers, Zoe has offered to give away an e-copy of her novel. To enter, leave a comment and your email below in answer to Zoe's question, above. "Please enter me" won't get you entered. Remember that U.S. subscribers are entered an additional time in each drawing. The drawing is done by email, so leave your email address, like so: trish[at]trishperry[dot]com. Latayne Scott and Free Books! What if some of the scholarly theories were true – a woman wrote part of the New Testament? And now let's visit with novelist Latayne Scott, author of the Biblical historical literary novel, A Conspiracy of Breath (TSU Press, September 2017), a finalist in the International Book Awards' religious fiction category. I’m trying to expand my brainpower (neuroplasticity) by doing challenging tasks. Like math. (Yuck.) Getting back to my studies of German. Trying not to be a klutz in exercise class. I've been using math-related games on my phone for exactly that purpose! 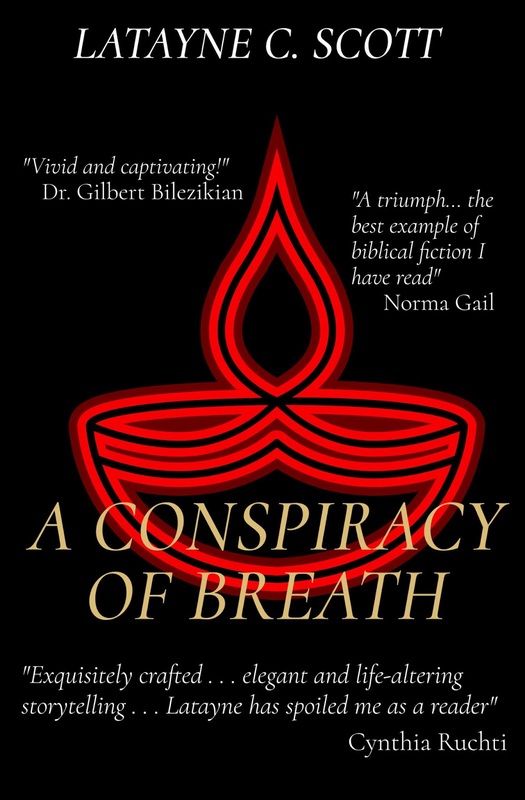 Please tell us a bit more about the plot of A Conspiracy of Breath. A patrician Roman woman becomes a Christian and soon the Holy Breath breathes on her to produce the book of Hebrews (not unlikely considering that Jewish Paul was the apostle to the Gentiles.) Her life and those of other Christians of the time are anvils on which God hammers out His will – and His Word. Like Corrie Ten Boom, she is a reluctant leader. She struggles, like Job, with the thought that God is paying too much attention to her! The last night on the ship, I dreamed of the old heroes and gods. I saw them one by one fade like shadows into the glare of a sandstone cliff. I looked around for them and they were no more. There was only the cliff, and sand stretching without horizon in every direction. Atop the crest of the cliff was a standard, and on it was a long, swaying gauze-like scarf. At first I thought the wind caused its motion. Then I realized that it caused the wind. Thirteen Reasons Why, by Jay Asher. I am writing some young adult novels and this was an excellent insight into teen issues. I always have several projects going. Cruciform Press will publish later this year The Mona Lisa Mirror Mystery, a YA novella involving time travel, and I’m working on a sequel to that. I’m co-writing a nonfiction on sexual predators for Bethany House, have a new Bible study about stewardship of time, talents and possessions that will be released soon by TSU Press, am working on a literary novel about the Civil War, and am doing quite a bit of teaching and speaking. I blog at Pandora’s Box Gazette, on my blog at www.latayne.com and with co-author Dr. Beth Robinson at KidsCallMeDoc.com. Why do you think people often expect Christian fiction to help them feel better? Is this a good goal for Christian fiction, and why or why not? I love that question. Thank you, Latayne, for visiting and telling us about yourself and your book. Readers, Latayne has offered to give away a signed copy of her novel. To enter, leave a comment and your email below in answer to Latyne's question, above. "Please enter me" won't get you entered. Remember that U.S. subscribers are entered an additional time in each drawing. The drawing is done by email, so leave your email address, like so: trish[at]trishperry[dot]com.